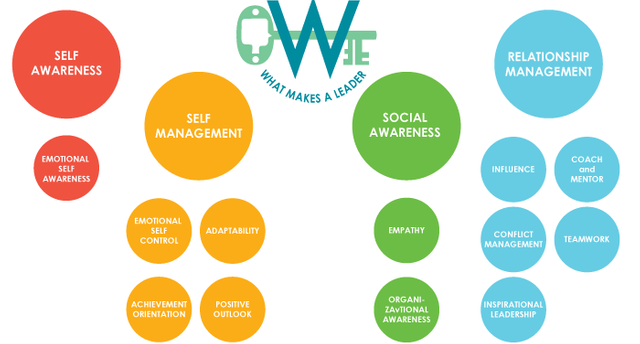 Daniel Goleman has been at the forefront on compacting Emotional Intelligence into the Leadership paradigm. When I talk about emotional intelligence, I’m not referring to a fixed trait. Emotional intelligence is a set of skills that can be developed. In my model of emotional intelligence those skills fall into four domains: self-awareness, self-management, social awareness, and relationship management. Richard Boyatzis and I worked with KF Hay Group to produce a tool for assessing twelve emotional intelligence competencies nested within each of these four domains that make people stars in the workplace.